A subscription to BBC Good Food Magazine is a must for everyone who loves food and cooking. Every issue of a BBC Good Food Magazine subscription is packed with great seasonal recipes, tried and tested by our experts so you can be sure they?ll work first time. With buyers? guides and recipes from all the top TV chefs, it?s a feast in itself. 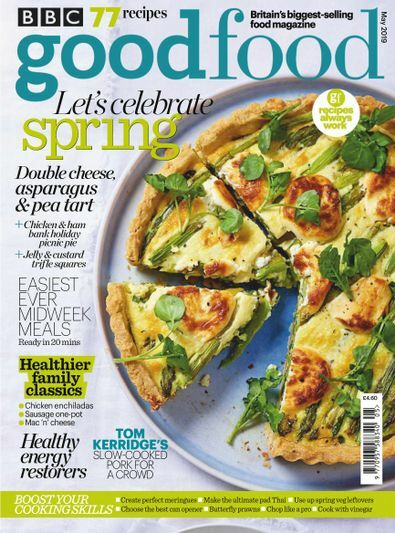 BBC Good Food Magazine is the UK's no.1 food magazine, and every issue in a subscription is filled with over 80 recipes for everyday meals, easy entertaining and dishes from celebrity chefs. At BBC Good Food magazine our expert team provides you with lots of tips that will help you every step of the way. Plus, each month of the subscription there is a TV section, which includes recipes from popular cookery programmes. Whether you are a beginner or want to create something new and exciting for every meal of the month - this is the magazine for you. Take out a subscription online today!